General Motors’ long-term success relies on talented teams solving global sustainability challenges and reimagining personal mobility. That’s why the company is passionate about inspiring the next generation of professionals to pursue STEM careers. They can help transform an industry. Here’s how we’re building the talent pipeline, introducing students to STEM skills early and often. Investing in the advancement of STEM curricula in schools. The A World In Motion® program engages STEM professionals – including about 2,000 of our own employees – in classrooms for grades K-12 to bring STEM to life with hand-on, team-based activities. In 2018, the AWIM program will grow through the launch of AWIM Keeping Our Networks Secure – a first of its kind cybersecurity-focused curriculum designed to get students ready for IT careers. Mentor youth and share what it’s like to work in a STEM career. GM partners with FIRST (For Inspiration and Recognition of Science and Technology) to inspire young people to be science and technology leaders through a robotics competition that builds STEM skills and inspires innovation, self-confidence and leadership. Girls Who Code is another mentorship program recently backed by GM. 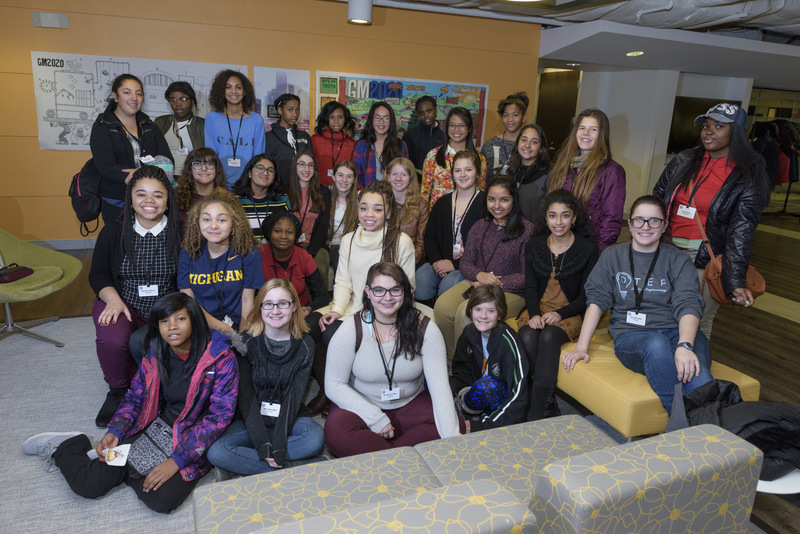 Its mission is to help thousands of U.S. middle and high school girls from underserved communities gain more access to computer science education and mentoring. Leverage materials, software and hardware to challenge students to create a solution to local and global issues. GM provides Chevrolet Camaros for EcoCAR student engineering competitions to reduce vehicle carbon footprints, and Chevrolet Bolt EVs for the AutoDrive Challenge that tasks students with developing and demonstrating a full autonomous driving passenger vehicle. Go outside to bring the subject to life. Through the GM Global Rivers Environmental Education Network, engineers put on waders with area high school students to monitor water quality in area streams. This program improves scientific knowledge and environmental awareness, sharpens problem-solving skills, and encourages civic action. GM expects to fill a third of its engineering positions in the next five to 10 years.